15 August. The operational boundaries of the British-led South East Asia Command (SEAC), based in Kandy and headed by Lord Louis Mountbatten, are extended to include southern Indochina and Thailand. Java, Borneo and Eastern Indonesia are also transferred from the American-led South-West Pacific Area, Australia made responsible for the latter two. With the war ended, SEAC’s primary tasks are to accept the Japanese surrender, disarm and repatriate Japanese troops, rescue and repatriate Allied POWs and internees, and eventually hand over the administration to civilian authorities. Except for Thailand, the restoration of colonial rule is assumed. 15 August. The promulgation of Proclamation No. 1 by Lord Louis Mountbatten, Supreme Allied Commander South East Asia Command (SEAC), lays the basis for a British Military Administration (BMA) in Malaya that will govern the territory until the resumption of civilian rule. However, Britain cannot officially reoccupy its colony until after the official surrender ceremony in Tokyo on 2 September. In the meantime, reports are received of outbreaks of Malay–Chinese communal violence in Perak and Johor. Ibraham Yaacob .. This is the first of a five-part ** ‘Special Edition’ ** that presents all Malaya material in a single location. Click for Part II, Part III, Part IV, ), Part V The following expert analyses are related (sometimes indirectly) to the situation in Malaya: Jason Sze Chieh Ng, ‘When the Reds go marching in’. 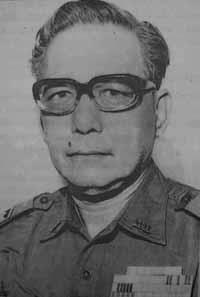 Cheah Boon Kheng, The Malayan Communist Party’s surprising strategy. Anthony Reid, Deciding the boundaries of independent Indonesia. Clay Eaton, The last days of Syonan. Paul Kratoska, Banana money: Malaya’s wartime currency. Sandra Khor Manickam, Looking for Din after the war. Clay Eaton, Mabel’s life goes on. Souchou Yao, From Heroes to Villains. Vera Hildebrand, India’s women warriors: The Rani of Jhansi Regiment. Abu Talib Ahmad, The place of Malays in a new world order. 10 August. Uncertainty about who will do what, and when, characterizes the entire region in mid-August. While the Philippines, for example, is beginning to rebuild after years of war and Japanese occupation, the country seethes with preparations for the invasion of Japan. U.S. military supplies pour in. Hospitals and other facilities are established in anticipation of the invasion efforts. Elements of the Philippine Army are also involved. Early but unconfirmed news of Japan’s surrender on the 10th results in premature celebrations in Manila, including the firing of weapons. Similar early celebrations erupt four days later when the U.S. Office of War Information newspaper Free Philippines prematurely announces the end of the war. 15 August. Just four hours after Emperor Hirohito’s broadcast ending the war, Japanese Ambassador Yamamoto Kuma’ichi explains and reassures Thai Prime Minister Khuang Aphaiwong about the surrender. He also raises no objections to news that Thailand’s Regent is planning to renounce the Thai–Japanese alliance.